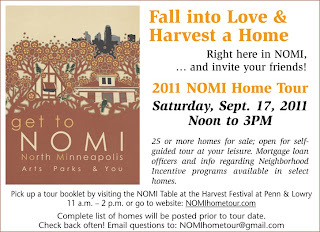 NOMI Home Tour: 22 Homes ready for you to tour! Something for everyone!! 22 Homes ready for you to tour! Something for everyone!! Looking for a new home? 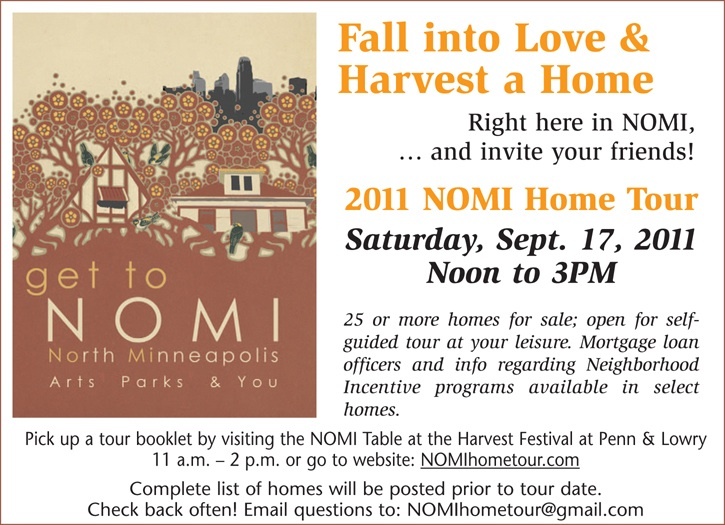 Come and check out the amazing properties featured at the NOMI Home Tour this weekend!!! There is a variety of styles, sizes and prices available. Licensed agents or homeowners will be available to answer questions and give information on down payment assistance! Owning can be less than rent! Come and see the value you can get in North Minneapolis! I've heard that the new homes are looking great. According to my friend who was able to attend a tour, the homes' designs were very compelling and eye catching. If that's the case, then an individual deserves to have a house from NOMI. Anyway, I think it would be a better option to install security shutters Perth to make the house more secure. This will also ensure the security of the whole family. Owning a house is such a great achievement. You can always do whatever you want for your house. Anyway, I've read a lot of reviews about NOMI Home, and they've stated great feedback about the properties. I think it would be a good idea to build a garage beside a house. I'd love to have a garage with an automatic door. It's good to know that there's a company that offers an installation og automatic garage doors in Perth where I currently live. The NOMI homes are indeed great looking houses. I did my research about it and found out that homeowners are very happy and satisfied. Researching is one of the most important things to do when looking for an apartment or a house. That's what I did when I searched for my Legaspi village apartment in the Philippines. Hmmm. If one is interested in buying a home, there are a lot of things that you should check aside from plumbing, water system, drainage, sewage, garbage collection, cold and heating systems, is the garage door. I purchased a house and forgot to look into the garage door. It's a good thing that there's a nearby garage door repair in perth, it only took us an hour for the garage door to get replaced. You can have 22 homes ready for you to tour. Have an enjoyable trip.